OMG! OMG! OMG! Are your kids are on their mimicking and exploration stage? My kid is and I just found the perfect activity "toy" for Arya. I have recently met with my ex-co-office-mate / bff / beshicakes / Arya's ninong last month for some catch-up and so he could hand over his Christmas present for Arya. I asked him to get something educational for Arya and specifically asked for a cloth book. As early as now, I know that Arya will love to read. 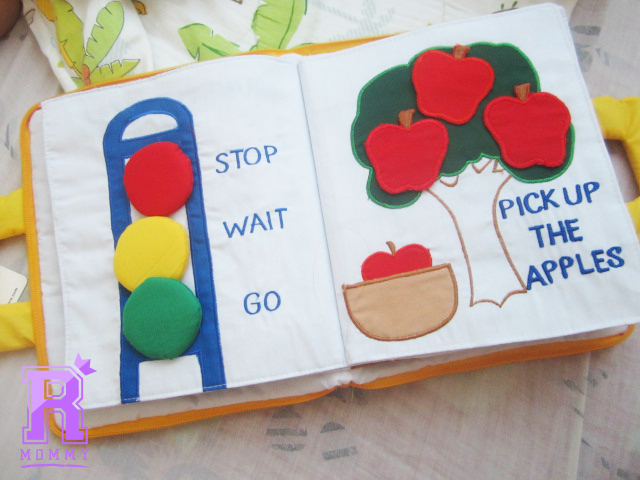 She likes flipping her books and pointing on the words and saying nonsense sounds but the problem is that she rips the paper apart! As in, nakakaloka, nasisira ang mga books niya! So, as soon as I got home, I handed her her present and she starts flipping and playing with her new cloth book. Lookie! 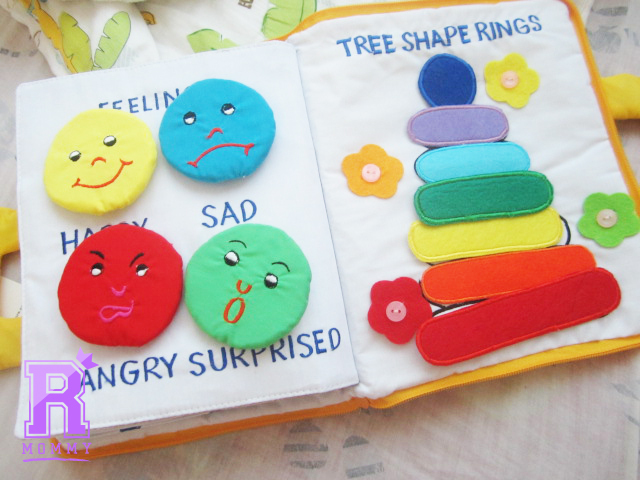 How cute and adorbs are these pages! 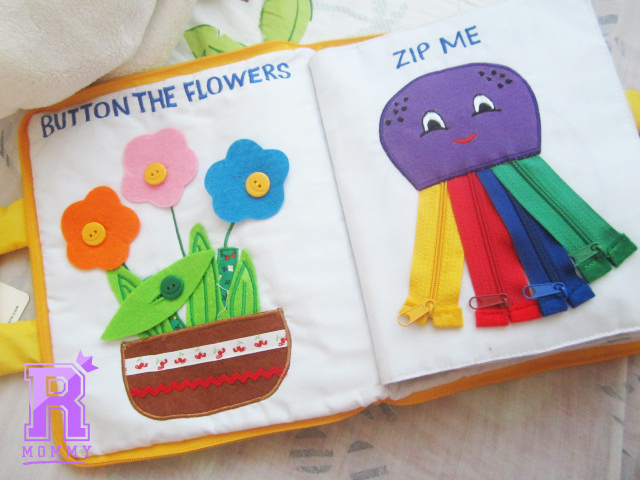 You can pick the petals, and the leaf and put them on the pot, and unzip and zip the octopus' tentacles! Maybe learn how to read the clock, too? Naah, too early! But we can definitely start counting! Oh, Arya loves picking and sticking the head lights as well as the apples! Arya looooooves the cat, and she actually say the word cat, point on the cat, and say meow! This is Arya's fave page. We actually started working on this page, for two days I thought her how to say the primary colors, and now, whenever she picks them, she says the actual color! The veggies, she likes too! She can't say Brown yet, but she loves saying "Porpol!" 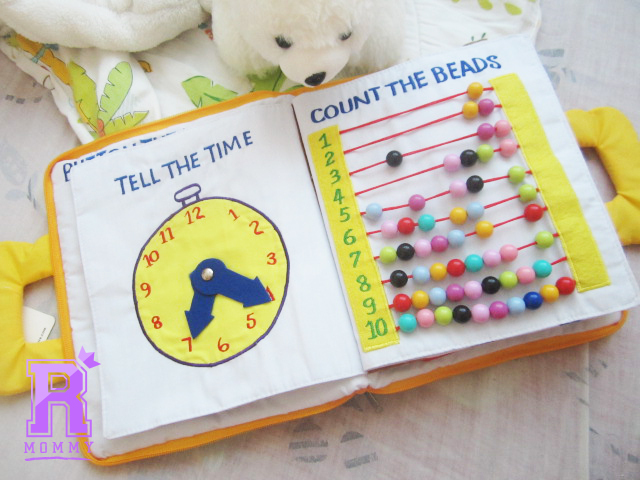 This cloth book can keep her occupied for thirty minutes up to an hour! Imagine all the things you could do at that time! Lol! 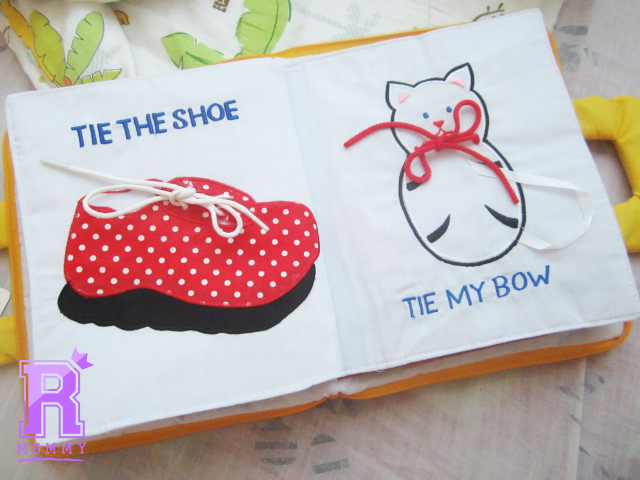 But, seriously, hands down to whoever invented cloth books! I had one when I was little and enjoyed it as much too! 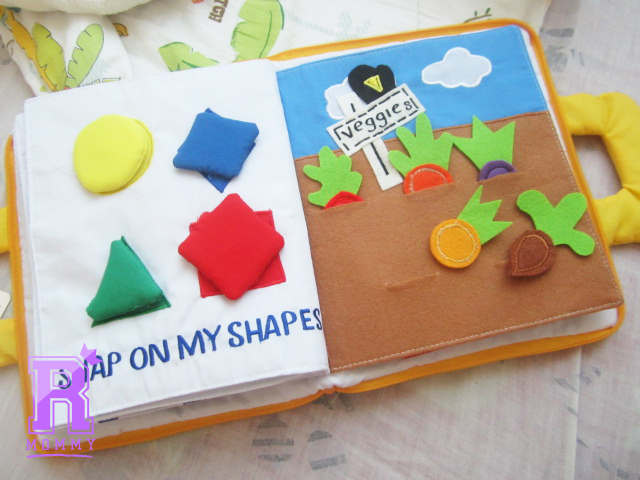 My friend says this cloth book was bought from urbanmomph in a bazaar. You can check out their Instagram page here. 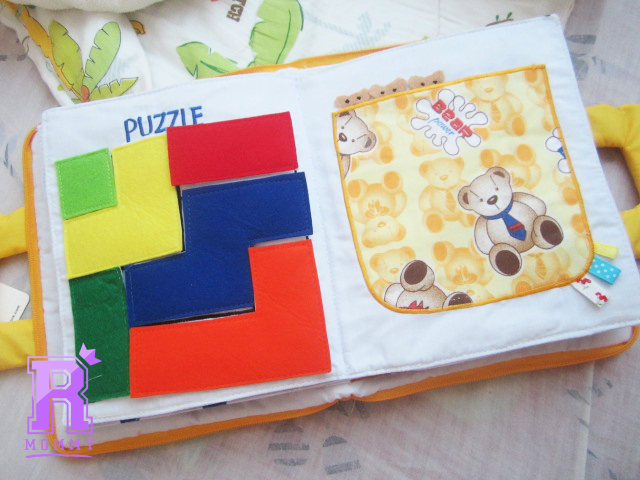 I honestly am in love with this cloth book, I think imma hoard more! Haha! Rookie Mommy PH - On repeat! Yellow, red, blue, green! Again! 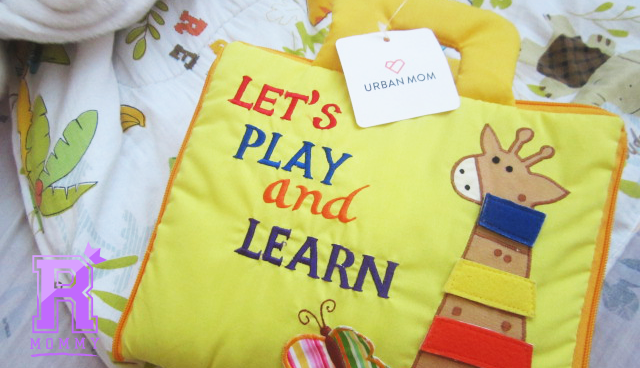 3 comments on "Educational - Activity Cloth Book For Your Kids by Urbanmom Ph"